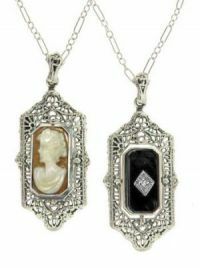 Reversible flip cameo & onyx w/ diamond in an ornate filigree frame. 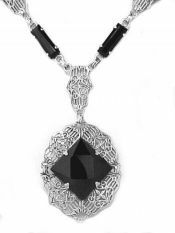 Featuring either black onyx or frosted crystal framed in embossed filigree with a .01 carat diamond accented center plaque. 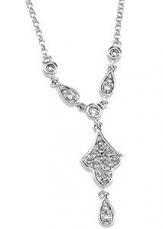 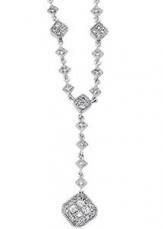 .20cttw Art Deco style pave' set diamond drop necklace. 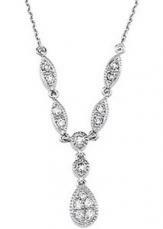 .25cttw Art Deco style pave' set diamond drop necklace. 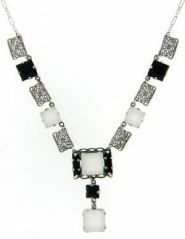 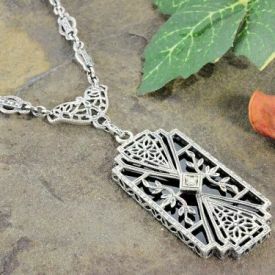 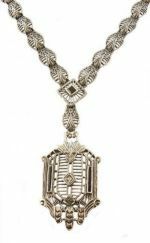 .33cttw Art Deco style diamond drop necklace. 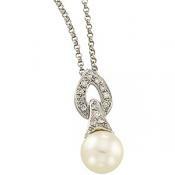 .20cttw Art Deco style diamond and 8mm freshwater pearl drop necklace with box link chain. 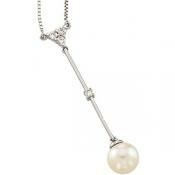 .10cttw Art Deco style diamond and 8mm freshwater pearl drop necklace. 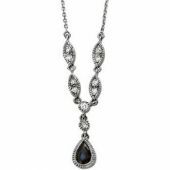 Art Deco style .25cttw diamond with 6x4mm pear shaped sapphire drop necklace. 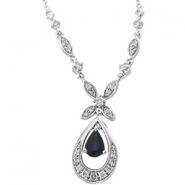 Art Deco style .16cttw diamond with 6x4mm pear shaped sapphire drop necklace. 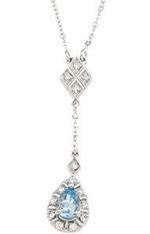 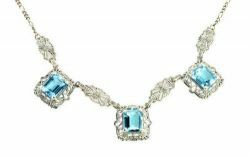 Art Deco style .16cttw diamond with 6x4mm pear shaped aquamarine drop necklace.